near St. Andrews, Fife in Scotland. My piece is entitled "Silver Birch". 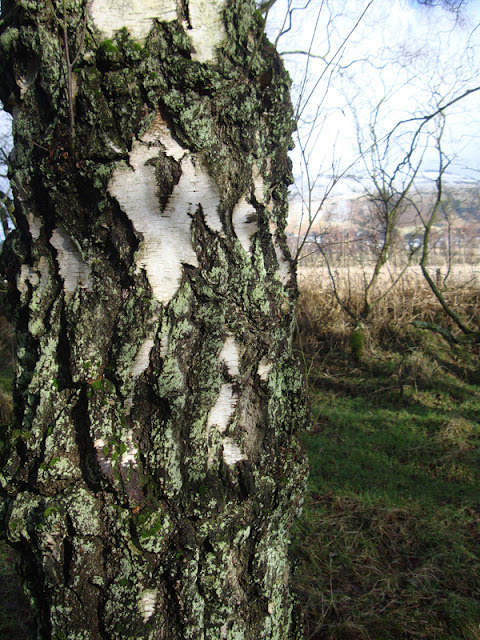 Although not a pine itself, the silver birch is a native of the Scottish Caledonian Pine Forest and can support 230 species of insect. 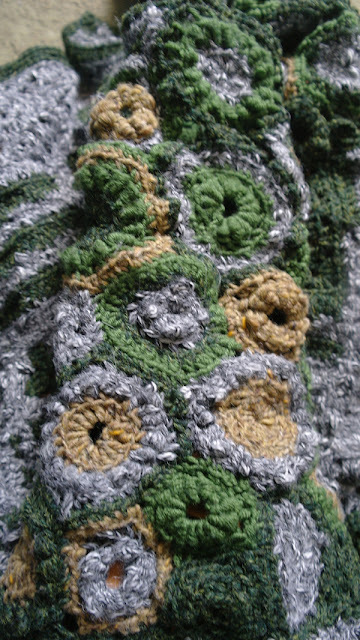 The sweater is a mixture of freestyle and freeform and is all in crochet. 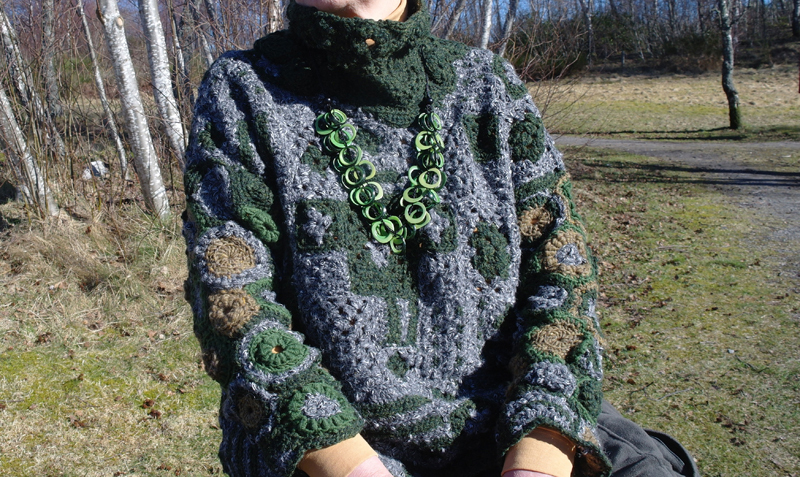 The body and collar are in Aran weight and the sleeves in a mixture of Aran and DK. 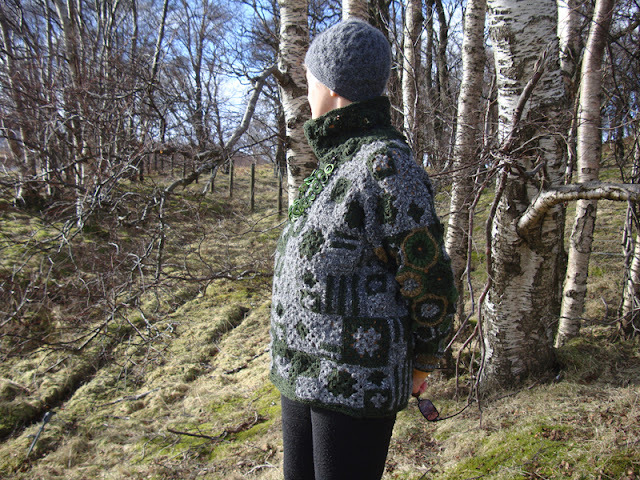 The freestyled body section represents the colour of the bark, and the freeform sleeves the colours of the leaves in autumn (as well as the undergrowth in spring when the photos were taken). The collar, also in freeform, represents the Scots Pine. So very beautiful Liz, you captured the Silver Birch so well. Such a lovely design!